So, you’ve decided to take an online course. Maybe you’ve decided to take all of your classes online. There are certainly many great reasons for doing this. If your chosen school is to far away for you to attend in person, or your schedule requires more flexibility than on campus courses offer, online classes are a great alternative. Unfortunately, many students begin taking online courses only to realize that it takes more time and effort than they expected. If you want to get the most out of your online, learning experience, check out the ten tips below. Being prepared and knowing what to expect is key. When you receive your syllabus read it thoroughly. Mark important dates on your calendar. Pay special attention to any group meetings, test dates, supplies that you will need to pick up, and other important information. Once you have that information, you can create a bit of a master schedule for the term. You can also set reminders for upcoming due dates, and plan extra study time when big projects will be hot and heavy. Depending on the nature of the course you are taking, you might be required to participate in group chats, live discussions, or online lectures. Don’t underestimate the importance of these, and don’t skip them. Because of the nature of online learning, it’s very difficult to catch up after you have missed out on important discussions. You might also find that instructors are much less likely to excuse missing a class that doesn’t require that you leave your home. Many students make the mistake of underestimating the amount of time they will need to dedicate to each online class that they take. This is largely because there is a bit of a perception that online courses are easier than their on campus counterparts. The truth is, you will need to put in just as much time, and in some cases more. Here are a few suggestions for calculating the amount of study time you should plan on for an online course. Evernote: For taking and organizing notes, sharing with others, and organizing projects. Google Docs: A free alternative for MS Office and other that is accessible anywhere. Before classes begin, try to identify a couple of places where you can comfortably work. Your environment should be physically comfortable and well lit. You’ll also want to make sure that you can feel comfortable participating fully in your class. For example, the coffee shop down the street might be perfect for working on homework and doing research. However, it might not be the best place to take a class that involves video conferencing. Keep your instructor’s contact information on hand, and jot down their office hours. If you have questions, or simply want to introduce yourself, call or send an email. The fact that you may not ever meet your instructor in person does not mean that they aren’t willing to help you outside of class. Another one of the dangers of taking online classes is that it’s easy to convince yourself that you can catch up when you fall behind, or that you will eventually understand a topic that is difficult for you. When that happens, you might need more help than you can get on campus. Hiring a tutor is always an option. You could even consider joining or creating a study group. If things get too difficult, you may find that it is your writing assignments that are holding you back. Fortunately, there are services that help you polish up your writing with editing, proofreading, and other help. If you use this option, do your research. Don’t make the mistake of waiting until the night before or the morning your new class begins to do all of this. Make sure that you get this done ahead of time so that you can identify any issues. If you wait until the last minute, university tech support may not be able to help you in time to get started on your first day. 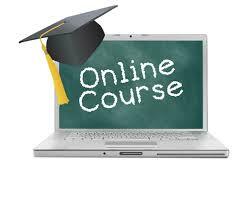 If you are able to, it can be a good idea to take both online and on campus classes. The online courses can help you to maximize your credit hours while allowing you to save gas or enjoy the other benefits of learning online. On the other hand, if you mix in one or two campus based classes, you will be able to socialize with other students, get face time with your instructors, and enjoy some of the experiences you can only have by being on campus. If you continually flip over to social media or play games when you should be focusing on your class, your grade will probably suffer. This is especially true if you are taking a class in real time. You’ll want to find a way to avoid these distractions. One method is to download software that simply blocks access to apps or websites that could be distracting for you. All you have to do is indicate what you want to avoid and when. Another option you have is to have one device that is ‘dedicated’ strictly for school, work, and household and personal management related tasks. If you have your games, social media apps, and other ‘fun’ things stored on an alternate device, you won’t have to worry about temptation. Ultimately, the path to getting the most out of your online classes includes planning, self discipline, time management, and using all of the resources that are available to you. Hopefully the ten tips listed above will help you reach your goals.